Looking for dinner to get onto the table fast? This recipe is for you. From start to finish, this recipe can be done in the time it takes the ravioli to cook. 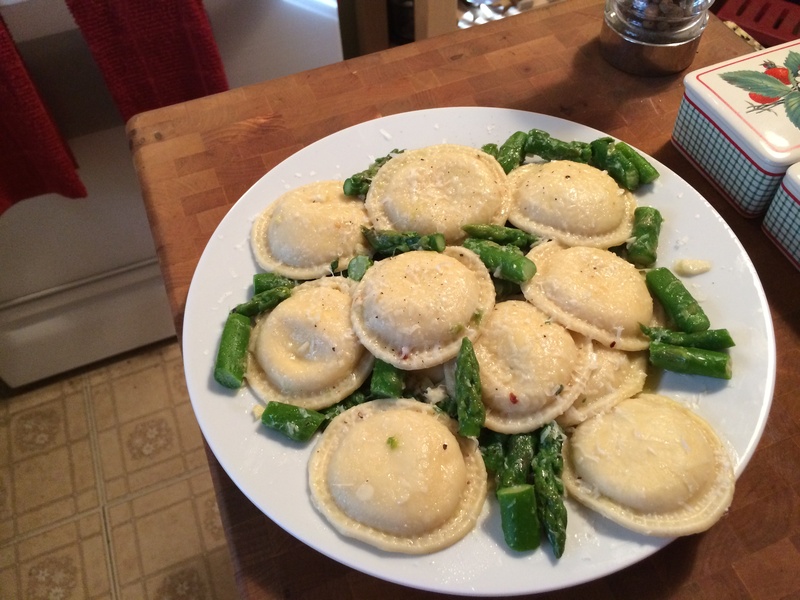 For this dish, I used the frozen cheese ravioli and asparagus from your freezer section. The frozen asparagus works perfectly when asparagus isn’t in season. They’re picked at the peak of asparagus season then frozen. I always have frozen artichokes hearts and peas in my freezer too. I like to incorporate certain veggies into a dish and I don’t necessarily have to worry whether they’re in season.